Is there a Real Dr. Doolittle? Yes, there is! Welcome to our Show on Talking to the Animals! I want to teach you what I know so you can learn how to talk to your animals, why it’s important to hear your animals viewpoints and how reconnecting with animals makes you a better human. Reconnecting with animals helps us be better humans, and is an exciting journey into Self, the nature and reality of our world, a behind-the-scenes look at the complex interactions between us all. Gayle Pruitt has been a nutritionist/ chef for fifteen years, earning her Certified Nutritionist degree from the American Health Science University’s National Institute of Nutritional Education/NINE in 1996. 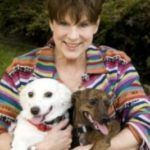 Gayle conducts nutritional research where at present she focuses on human and canine nutrition with a specialty in digestive issues and disorders and also acts as a guest lecturer. Gayle was Executive Chef for MacNut Oil, a gourmet cooking oil company. She has worked as a Personal Chef, and owned and operated Fine Food Delivered, preparing and delivering unique meals for those with special dietary needs. Gayle also co-hosted a nationally syndicated radio talk show, Menu for Life Radio Show, with Dr. Ross Stewart, a behavioral psychologist and recognized expert on the link between nutrition and brain chemistry. Gayle’s recipes have appeared in national magazines and in best-selling cookbooks such as Hampton’s Diet Cookbook and 7-Color Cuisine: A Cookbook and Nutrition Guide. She was the food writer for a Dallas based magazine Lifestyle Solutions. In addition, she has conducted cooking demonstrations in many cities across the country for national food shows involving gourmet products. And she’s been asked to film a pilot for a new show on cooking for dogs too that may easily wind up on one of the Food Networks (can’t say which one yet). Gayle is the author of The Dog-Gone Good Cookbook published by St Martin’s Press. What inspired your idea to write the Dog-Gone Good Cookbook? Is there any research on canines eating vegetables? Why did you include cooked, raw and even vegetarian food in your cookbook for dogs? Why is it important for canines to have organic fruits & vegetables and grass-fed meats in their diet? Do you have an easy, simple way for the people that think they don’t have time to prepare homemade food for their dogs to get started? To learn more about the good work Gayle is doing go to https://doggonegoodblog.wordpress.com/. SHARING IS GOOD! My mission and passion is to improve the lives of animals the world over by helping humans learn how to speak their language, understand their viewpoints and heal. After all, our love of animals helps us learn how to be better humans, and the more balanced and healthy we are, the more balanced and healthy they can be too. Would you help me reach more animal lovers by passing my Podcasts, Tips, and Newsletter on to your animal loving friends? 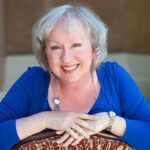 ABOUT ANIMAL COMMUNICATION: Learning animal communication is an exciting journey into the Self, the nature and reality of our world, a behind-the-scenes look at the many complex interconnections between us all, and the real truth about relationships. It’s also about discovering how to connect at deeper levels with other beings. My hope is that this course proves very useful to you in many ways. Learning to master animal communication takes a lifetime of study, practice, and education. But don’t be scared! Any animal lover can learn how to talk with animals if they’re willing to put the time and effort into learning how. You can too! Click here to view my beginning course on animal communication.